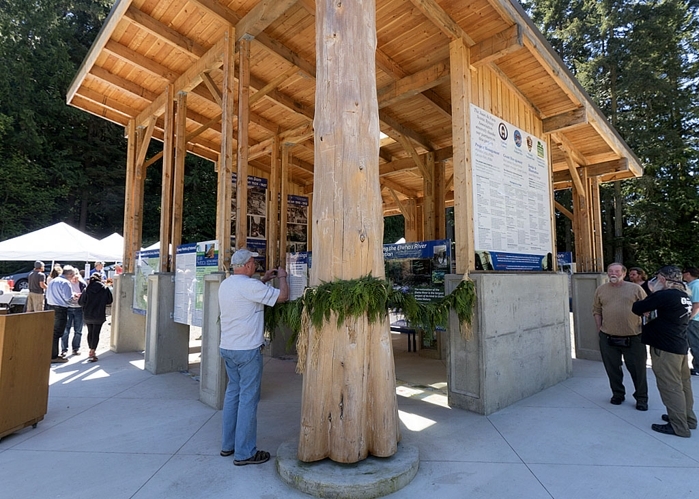 design and construct an interpretive center near the eastern entrance to Highway 112, telling the story of the Elwha River Restoration Project and produce an accompanying commemorative booklet. 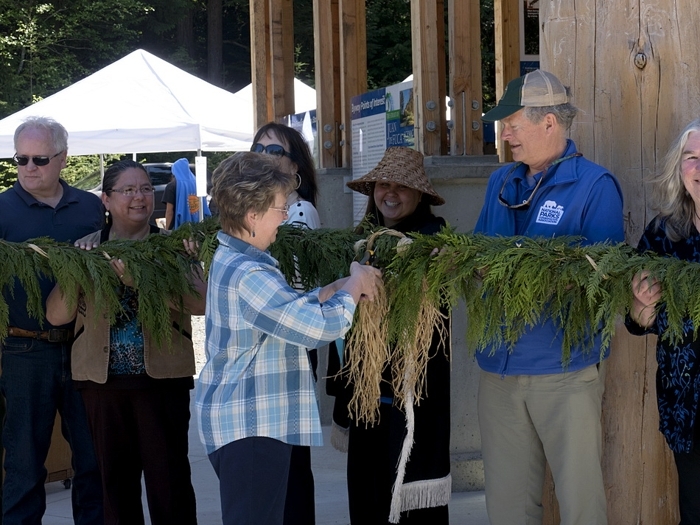 We hope you will visit the Interpretive Center to learn about this project and to discover the Juan de Fuca Scenic Byway and the many scenic, cultural and recreational opportunities available along its route. 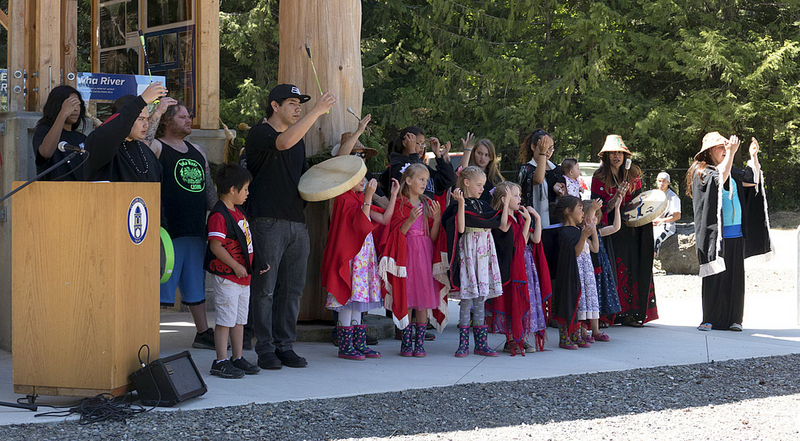 A grand opening of the Interpretive Center was held May 1, 2016. Copies of the commemorative booklet are available in a downloadable format or by requesting a hard copy. The Interpretive Center is open to the public (dawn to dusk). 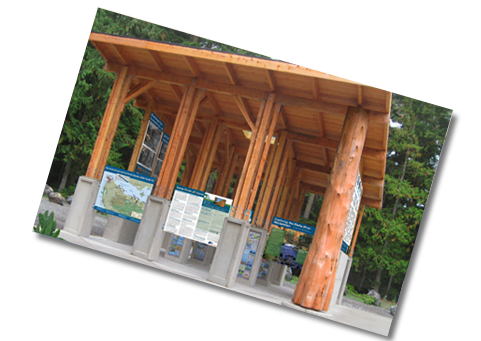 There is plenty of parking, a restroom, picnic area (please remove your own trash), and walking access to the former Elwha Dam site via the closed County road.